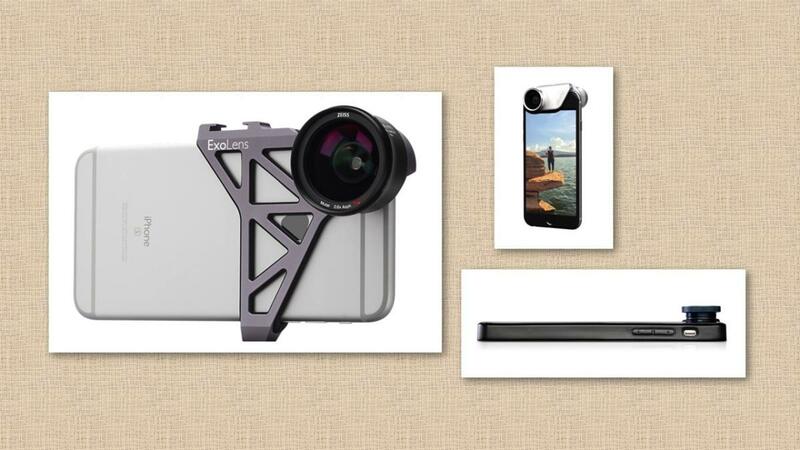 Shopping for an iPhone camera lens? Here are a few things to consider. If you’re a serious photographer, you know that the quality of lenses matters hugely with a DSLR or mirrorless. That’s true with tiny add-on iPhoto lenses as well. All lenses can suffer from several kinds of problems across the entire imaging area or at the edges. Because lenses are round and camera take a rectangular slice, our photos always crop out some or a lot of the edges of a lens, which minimizes some problems that only appear close to a lens’s periphery. However, I did see across most lenses one of several known “aberrations” that occur based on design choices. Chromatic abberation appeared most commonly, where colors start to separate and spread the farther from the centerpoint of a lens. Almost every lens, except the Ztylus Z-Prime series, I saw blurriness and distortion around the edges; the lower-quality the lens, the more this crept into the main part of the image. Some lenses also had a form of distortion, like barrel distortion, which bows out straight lines—a light pole might appear to be in a curve from top to bottom of a picture. A lens often compromises multiple lens elements that are put together to correct aberrations, distortions, and other effects. Apple’s lens system went from five to six elements from the iPhone SE/6s/6 Plus to the iPhone 7/7 Plus wide angle. The best lenses I tested were usually the most expensive, and the had the fewest problems. They might unnoticeable or could easily be removed with slight cropping. I’d argue that any lens maker that ships a lens with a tiny or recessed rear element should also include a specialized cleaning tool for that crevice. The instruction manuals with several lenses suggest using compressed air and lens cleaner plus lens cleaning tissues. These are both good ideas, but very difficult outside of a studio or other controlled environment. A specialized tool coated with microfiber “cleaner” (soft, microscopic abrasives) would help a lot; these are typically sold in a brush/pen combo. Moment is the only company that offers such a cleaning pen that’s designed to work with its rear lens elements and also fits within the iPhone lens glass; it’s a $10 add-on purchase. I carried microfiber cloths with me (some kits includes them or make the lens bags out of microfiber material), and a manual blower bulb. I also had lens-cleaning fluid and tissues, but I wound up not needing to use them. You’ll wind up stowing and swapping lenses, and I recommend checking for dust, fingerprints, and other elements as frequently as possible. You have a lot of choices, even among the best systems, in how lenses are locked into place. With the best, the case or frame ensures that you’ll only place the add-on lens perfectly over the iPhone lens, and that you screw or snap the lens in place, so there’s no chance of movement or it falling off. Some systems use bungie cords and pressure, clips, or magnets, which have varying degrees of reliability.